Aboveground biomass, belowground biomass, litter, dead wood and soil organic carbon. 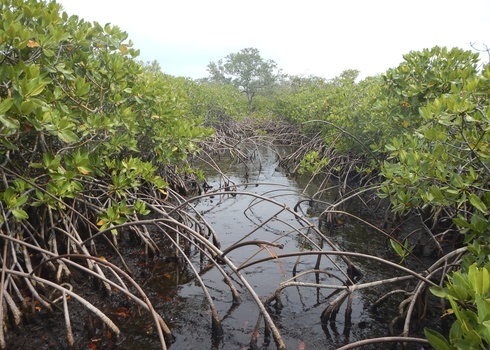 Mangroves have a high content of soil organic carbon. Utila, Honduras.